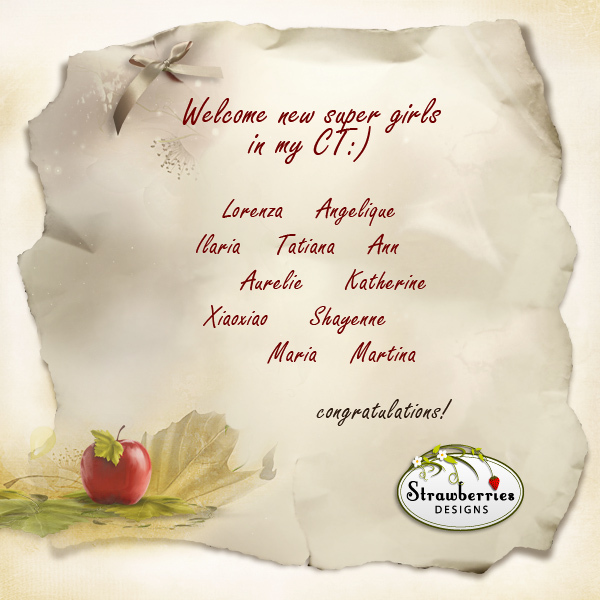 Strawberries Designs digital scrapbooking corner: CT Call finale! Welcome my new stars! CT Call finale! Welcome my new stars! Thank you for a lot of wonderful applications girls!!! I can see, that you really love digital scrapbooking. congratz you lucky ladies. have fun!